Call or message to inquire about our special Halloween party services! I am a psychic and tarot card reading serving the San Francisco area. I am available for events, Halloween party's, and individual readings! I have been a professional psychic for over 10 years. I am over 98% accurate in my readings and I've never failed to help. For group sessions/parties/events I can also provide up to 5 other psychics. I have provided psychic services for Saks, Mitchell's & Neimen Marcus, Facebook & Twitter & many more. I also have experience with multiple charity's and yacht club events. Thank you so much, Blessings! Nicole did an incredible job at my wedding!! Guests were blown away-there was a line to see her the entire event. They can’t stop talking about her, she made it extremely memorable for everyone. I highly recommend Nicole for your next classy event!! Thank you so much, Heather! It was a pleasure being there for your special day and it was an honor to meet all your wonderful family and friends I really felt at home and had so much fun! Thank you Karen! I appreciate your kind words and it was a joy Being a part of your party! I hope to use her again for another event! I was looking for a Tarot Card reader to make my yearly office party a little more exciting and I am so happy we chose Nicole! She provided Psychic/Tarot readings to me and my co-workers, it was a great deal of fun! See you next year! Thanks again! My goal is to provide every guest with an uplifting positive reading that will leave them talking even after the event has passed! 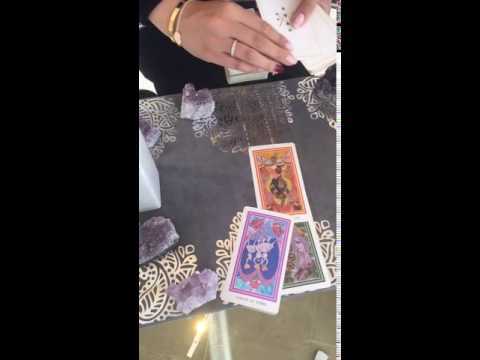 You can expect your guests to be wowed and to thank you for bringing a tarot card reader for your event!